For the World War I formation, see 17th Indian Division. Shoulder patch of the 17th Indian Infantry Division. The 17th Infantry Division is a formation of the Indian Army. During World War II, it had the distinction of being continually in combat during the three-year-long Burma Campaign (except for brief periods of refit). It was first formed in 1941, in Ahmednagar in India. It consisted then of the 44th, 45th and 46th Indian Infantry Brigades, and was intended to garrison Iraq. At the end of the year, war with Imperial Japan broke out and the division was split; 44th and 45th Brigades were despatched to Malaya where 45th Brigade fought in the Battle of Muar before both brigades were lost in the Battle of Singapore; 46th Brigade and the division HQ went to Burma, where the Division was reinforced by 16th Indian Infantry Brigade and took 2nd Burma Infantry Brigade under command. Ahmednagar is a city in Ahmednagar district in the state of Maharashtra, India, about 120 km northeast of Pune and 114 km from Aurangabad. Ahmednagar takes its name from Ahmad Nizam Shah I, who founded the town in 1494 on the site of a battlefield where he won a battle against superior Bahamani forces. It was close to the site of the village of Bhingar. With the breakup of the Bahmani Sultanate, Ahmad established a new sultanate in Ahmednagar, also known as Nizam Shahi dynasty. The 44th Indian Infantry Brigade was an Infantry formation of the Indian Army during World War II. The brigade was formed in June 1941, at Poona in India and assigned to the 17th Indian Infantry Division. Under the command of Brigadier George Ballentine, on establishment the brigade drew a mix of regular soldiers, reservists and new recruits to form three infantry battalions; various supporting units were formed between August and September. A signals section was formed in late December. Due to the rapid expansion of the Indian Army, the brigade suffered from a shortage of experienced leaders, with each infantry battalion having on average only three British officers and also lacking Indian viceroy-commissioned officers and non-commissioned officers. The brigade's manpower problems were made worse in late 1941 when an experienced cadre of 250 personnel were transferred from the brigade in order to form another unit. They were replaced by a large number of inexperienced soldiers, many of whom were under 18 years old. The 45th Indian Infantry Brigade was an Infantry formation of the Indian Army during World War II. The brigade was formed in June 1941, at Ahmednagar in India and assigned to the 17th Indian Infantry Division. It was transferred to Malaya Command in January 1942 where it was virtually destroyed in the Battle of Muar. What was left of the brigade was briefly under command of the Australian 8th Division in February 1942, during the Battle of Singapore and surrendered to the Japanese with the rest of the garrison on 15 February. The Japanese attacked Burma on January 22, 1942. It was soon apparent that the British and Indian troops in Burma were too few in number, wrongly equipped and inadequately trained for the terrain and conditions. After failing to hold the Kawkareik Pass and Moulmein, the division fell back to the Bilin River, where it was joined by 48th Indian Infantry Brigade. Bilin River is a river in Tuva. It is a tributary of the Kyzyl-Khem, running parallel to the mongolian border. The 48th Infantry Brigade, was raised as the 48 Indian Infantry Brigade, in October 1941, at Secunderabad, India. After an initial tenure with 19th Indian Infantry Division, it was transferred to the 17th Indian Infantry Division. In World War II it participated in the Burma campaign and in April 1942 was attached to 1st Burma Division. After the war the brigade returned to India as an independent brigade, and was located at Dhond in August 1947. After India gained Independence in 1947, 48 Indian Infantry Brigade was re-designated as 48 Infantry Brigade. Since then 48 infantry brigade has seen action Goa in 1961, as part of 17 Infantry Division; in the 1962 War in Kameng Frontier Division, Arunachal Pradesh, as part of 4th Infantry Division; and in the 1971 war, as part of 7th Infantry Division. Since the 1970s, 48 Infantry Brigade has been located in Ferozpur, Punjab, as part of 7 Infantry Division. The Bilin was not a proper defensive position, and the division tried to retreat over the Sittang River. Air attacks, poor organization and vehicle breakdowns delayed the division, and Japanese parties infiltrated around them to threaten the vital bridge over the Sittang. The division's commander, Major General "Jackie" Smyth VC, was forced to order the bridge to be destroyed, with most of the division cut off on the far side of the river. Only a few thousand men without equipment succeeded in crossing the river. Smyth was dismissed and replaced by Major General Cowan. The Battle of Sittang Bridge was part of the Burma campaign during the Second World War. Fought between 19 February and 23 February 1942, the battle was a victory for the Empire of Japan, with many losses for the British Indian Army, which was forced to retreat in disarray. Brigadier Sir John George Smyth, V.C.—who commanded the British Indian Army at Sittang Bridge—called it "the Sittang disaster". Brigadier Sir John George Smyth, 1st Baronet,, often known as Jackie Smyth, was a British Indian Army officer and a Conservative Member of Parliament. Although a recipient of the Victoria Cross, his military career ended in controversy. The division was reinforced with 63rd Indian Infantry Brigade, and narrowly escaped being trapped in Rangoon. After trying to hold a front in the Irrawaddy River valley, it subsequently retreated north into Assam just before the monsoon broke, fighting off a Japanese attempt to trap it at Kalewa. The 63rd Indian Infantry Brigade was an infantry brigade formation of the Indian Army during World War II. It was formed in January 1942, at Jhansi in India and was assigned to the 23rd Indian Infantry Division and served in the Burma Campaign. In March 1942, it was reassigned to the 17th Indian Infantry Division with whom it remained for the rest of the war apart from in May 1942, when it was attached to the 39th Indian Infantry Division. The Irrawaddy or, officially, Ayeyarwady River is a river that flows from north to south through Myanmar. It is the country's largest river and most important commercial waterway. 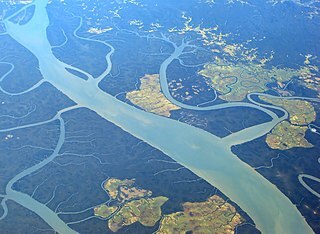 Originating from the confluence of the N'mai and Mali rivers, it flows relatively straight North-South before emptying through the Irrawaddy Delta into the Andaman Sea. Its drainage basin of about 404,200 square kilometres (156,100 sq mi) covers a large part of Burma. After Rudyard Kipling's poem, it is sometimes referred to as 'The Road to Mandalay'. Assam is a state in India, situated south of the eastern Himalayas along the Brahmaputra and Barak River valleys. Assam covers an area of 78,438 km2 (30,285 sq mi). The state is bordered by Bhutan and the state of Arunachal Pradesh to the north; Nagaland and Manipur to the east; Meghalaya, Tripura, Mizoram and Bangladesh to the south; and West Bengal to the west via the Siliguri Corridor, a 22 kilometres (14 mi) strip of land that connects the state to the rest of India. For the campaigning season of 1943, the division was reorganised as a "Light" formation, with two brigades only (48th and 63rd), supported by mountain artillery, and with mules and jeeps only for transport. It disputed the mountainous and jungle-covered region around Tiddim, with mixed success. The division was at the end of a long and precarious supply line, and the "light" establishment was found to be inadequate in some respects. Some heavier equipment and transport was restored. In 1944, the Japanese launched a major invasion of India. During the long Battle of Imphal, 17th Division first successfully fought its way out of encirclement at Tiddim, and then disputed the vital Bishenpur sector south of Imphal (with 32nd Indian Infantry Brigade temporarily under command). In July, the Japanese were broken by heavy casualties and starvation, and retreated. Some units of 17th Division had suffered nearly 100% casualties. During the late monsoon season, the division was temporarily withdrawn to India and reorganised once again. 48th and 63rd Brigades were fully equipped with vehicles to become Motorized infantry. 99th Indian Infantry Brigade was added to the division, equipped to be transported by Douglas DC-3 aircraft. In late February. 1945, the motor elements of the division, with the bulk of 255th Indian Tank Brigade under command, crossed the Irrawaddy River and advanced on the vital Japanese communications centre of Meiktila. Joined by 99th Indian Infantry Brigade which was flown into the captured airfield at Thabutkon, they captured Meiktila in only four days. Reinforced by 9th Indian Infantry Brigade which was flown into the airfields around Meiktila, they subsequently withstood a Japanese siege. This Battle of Meiktila largely destroyed the Japanese armies in Central Burma. The division now broke the last Japanese defensive position at Pyawbwe, and advanced south on Rangoon. At Pegu, it pushed Japanese rearguards aside, but was still short of its objective when the monsoon broke. Rangoon fell to an assault from the sea, Operation Dracula. In the last months of the campaign, the division participated in the mopping up of Japanese stragglers in Burma. After the war ended, elements of it formed part of the Commonwealth Occupation force in Japan (under Cowan). The division was disbanded in India in 1946. The division was re-raised at Ambala (India) on November 15, 1960. It was under the command of Major General K.S. Katoch, MC. Among its new formations was 99th Indian Infantry Brigade, which was soon detached for service with ONUC in the Congo. Under the command of Major General Candeth, the division participated in the Goa military operations in 1961. On November 15, 1963, the division relocated to Sikkim and took on the role of guarding a portion of the Tibet-India border. The division had two different formation signs. The first was a lightning bolt (white) on a blue background. This was used until the middle of 1942. Afterward, the formation sign was changed to a black cat on a yellow/orange background. The division was sometimes called, "The Black Cat Division" based on its second formation sign. "17 Infantry Division". Orders of Battle.com. 39th Indian Infantry Division was an infantry division of the Indian Army during World War II, which became a Training Division in 1943 after its recovery into India from Burma. The Royal Gurkha Rifles (RGR) is a rifle regiment of the British Army, forming part of the Brigade of Gurkhas. Unlike other regiments in the British Army, RGR soldiers are recruited from Nepal, which is neither a dependent territory of the United Kingdom nor a member of the Commonwealth. The regiment's motto is Better to die than to be a coward. The Battle of Imphal took place in the region around the city of Imphal, the capital of the state of Manipur in northeast India from March until July 1944. Japanese armies attempted to destroy the Allied forces at Imphal and invade India, but were driven back into Burma with heavy losses. Together with the simultaneous Battle of Kohima on the road by which the encircled Allied forces at Imphal were relieved, the battle was the turning point of the Burma Campaign, part of the South-East Asian Theatre of the Second World War. The defeat at Kohima and Imphal was the largest defeat to that date in Japanese history, with many of the Japanese deaths resulting from starvation, disease and exhaustion suffered during their retreat. The 10th Princess Mary's Own Gurkha Rifles,, was originally a rifle regiment of the British Indian Army comprising Gurkha soldiers of Nepalese origin. The regiment was first formed in 1890, taking its lineage from a police unit and over the course of its existence it had a number of changes in designation and composition. It took part in a number of campaigns on the Indian frontiers during the 19th and early 20th centuries, before fighting in the First World War, the Third Anglo-Afghan War and the Second World War. Following India's independence in 1947, the regiment was one of four Gurkha regiments to be transferred to the British Army. In the 1960s it was active in the Malayan Emergency and Indonesian Confrontation. It was amalgamated with the other three British Gurkha regiments to form the Royal Gurkha Rifles in 1994. 5th Gorkha Rifles , also abbreviated as 5 GR(FF) is an infantry regiment of the Indian Army comprising Gurkha soldiers of Indian and Nepalese origin. 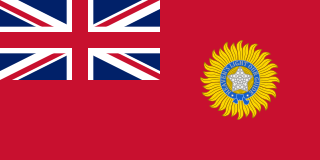 It was formed in 1858 as part of the British Indian Army and served in the First World War and Second World War. The regiment was one of the Gurkha regiments that was transferred to the Indian Army following independence in 1947. The regiment was formerly known as the 5th Royal Gurkha Rifles . Since 1947, the regiment has served in a number of conflicts, including the Indo-Pakistani War of 1965 and the Indo-Pakistani War of 1971. It has also participated in peacekeeping operations in Sri Lanka. The concurrent Battle of Meiktila and Battle of Mandalay were decisive engagements near the end of the Burma Campaign. Collectively, they are sometimes referred to as the Battle of Central Burma. Despite logistical difficulties, the Allies were able to deploy large armoured and mechanised forces in Central Burma, and also possessed air supremacy. Most of the Japanese forces in Burma were destroyed during the battles, allowing the Allies to later recapture the capital, Rangoon, and reoccupy most of the country with little organised opposition. The 20th Indian Infantry Division was an infantry division of the Indian Army during World War II, formed in India, and took part in the Burma Campaign during World War II. In the immediate aftermath of the War, the bulk of the division was deployed to French Indochina to oversee the handover from Japanese to French rule. The 26th Indian Infantry Division, was an infantry division of the Indian Army during World War II. It fought in the Burma Campaign. The 44th Indian Airborne Division was an airborne forces division of the Indian Army during World War II, created in 1944. It provided a parachute battalion for one minor airborne operation, but the war ended before the complete formation could take part..
Major General David Tennant Cowan CB, CBE, DSO & Bar, MC, also known as "Punch" Cowan, was an officer in the British Army and British Indian Army in World War I and World War II. He was distinguished for leading the Indian 17th Infantry Division during almost the entire Burma Campaign. The Burma Corps ('Burcorps') was an Army Corps of the Indian Army during World War II. It was formed in Prome, Burma, on 19 March 1942, took part in the retreat through Burma, and was disbanded on arrival in India in May 1942. The 2nd Indian Infantry Brigade was an infantry brigade formation of the Indian Army during World War II. It was formed in Rawalpindi in September 1939. In October 1940, it was renamed 16th (Independent) Indian Infantry Brigade in November 1941, and left India for Burma. The brigade was caught in the Battle of Sittang Bridge where it suffered heavy losses. Instead of being reformed in September 1942, it was renamed yet again, this time to 116th Indian Infantry Brigade. Attached to the 39th Indian Infantry Division it now provided specialised jungle conversion training. An infantry battalion would spend from four to six months with the brigade, before being sent to the front to replace a tired battalion in one of the fighting divisions. The 46th Indian Infantry Brigade was an Infantry formation of the Indian Army during World War II. The brigade was formed in June 1941, at Ahmednagar in India and assigned to the 17th Indian Infantry Division. In February 1942, during the Japanese conquest of Burma the Brigade suffered heavy casualties during the retreat to the Sittang River and was dispersed into small groups after the Battle of Sittang Bridge. The Brigade was never reformed and officially disbanded 25 February 1942. ↑ "17 Division units". Order of Battle. Retrieved 2009-10-22.